Weather Stations & Evapotranspiration (E.T.) Show me the money! The benefits of using E.T. based run times and should you be doing so on your course. Golf Course Superintendents can be a curious and cautious group when it comes to utilizing technology. 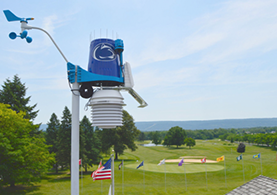 Weather stations have been in use for decades in the golf industry, so they can’t be considered “new” technology; however, many Superintendents today are hesitant to use them to their capacity. 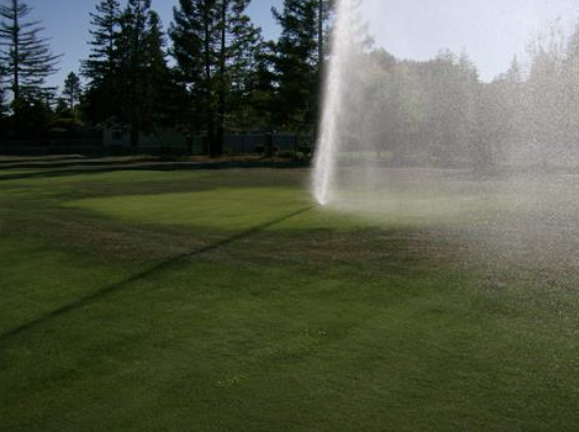 Most on site weather stations have software that is directly linked to the irrigation software. Not only can they compute the Evapotranspiration Rate (E.T.) but they use the E.T. in order to calculate individual station run times in the irrigation central. Why do I have patterns of wet and dry areas around my sprinklers? This is quite a complex problem and there could be a myriad of factors which add to this age old problem. There is not always a Silver Bullet in the chamber as a detailed System Water Audit is often needed to get to the root of the problem(s). 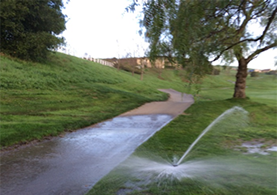 When Golf Irrigation Consultants conducts a water audit and water use study, we pay close attention to what the irrigation central projected flow (toro) is compared to the actual flow. Projected flow is the total flow that the central computer calculates to run during the nightly cycle. In the Rain Bird central this is known as the “Dry Run”. The actual flow is what is measured from a flow meter installed at the pump station. Knowing the differential and correcting for discrepancies is crucial to the overall efficiency of your irrigation system.